Ms. Payne is a pioneer in the promotion of breastfeeding in the African-American community. She has not only successfully breastfed six of her own children, she has been a tireless advocate for breastfeeding mothers in her community. She is the creator of the Chocolate Milk Cafe, a support group model exclusively for African-American women. She is founder of Uzazi Village, a non-profit organization whose mission it is to improve perinatal outcomes in the urban core, including improving breastfeeding initiation and duration rates among populations that are least likely to choose to breastfeed their babies. She is also committed to increasing the number of African-American IBCLCs, who remain underrepresented in the profession. To that end, Uzazi Village offers mentorships to candidates needing hours, and a scholarship for a candidate of color sitting for the exam. Ms. Payne is the founder of Uzazi Village, dedicated to improving perinatal outcomes and breastfeeding rates in communities of color. Ms. Payne is available for conference breakouts, workshops and seminars, and consulting. Sherry L. Payne has a bachelors of nursing and a masters in nursing education from Research College of Nursing in Kansas City, MO. She is a midwifery student and is pursuing doctoral studies in nursing education with Walden University. She is a lactation consultant and a certified nurse educator. Upon completion of her midwifery studies, she plans to open an urban prenatal clinic and birth center. 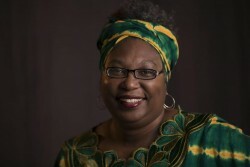 Ms. Payne founded Uzazi Village, a nonprofit dedicated to decreasing health disparites in the urban core. She owns Perinatal ReSource an education, training and consulting firm. She is an editor for Clinical Lactation Journal, and sits on the board of the National Association of Professional and Peer Lactation Supporters of Color (NAPPLSC). 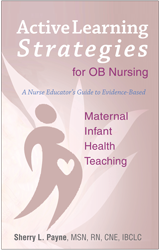 She presents nationally on perinatal and nursing education issues. Her career goals include increasing the number of midwives of color and improving lactation rates in the African American community through published investigative research and application of evidence based clinical practice and innovation in healthcare delivery models. Participation in this course can help ensure that the learner is confident in thier skills in breastfeeding support and utilizing evidence-based practice. The course covers; communications skills, implementation of the 10 Steps of Baby-Friendly, skin-to-skin contact, and early initiation of breastfeeding, positioning and latching, long term breastfeeding support, identification of practices that interfere with breastfeeding and barriers to successful breastfeeding. This course is suitable for all skill levels. Breastfeeding Core Competencies for the Doula examines the basic knowledge and skills that doulas should possess in the care of the childbearing woman. This presentation offers practical strategies for helping African-American clients feel more comfortable and welcome in your practice setting. This presentation examines the rationale behind low breastfeeding rates for African-American women and successful strategies for improving initiation and duration of breastfeeding.